Corals are experiencing an increase in environmental stress including a drop in ocean pH and rising temperatures which creates physiological limitations. My current project focuses on the physiological and epigenetic responses of coral organisms as a whole. Understanding the interaction of the three components of the holobiont (coral host, symbiont, and microbiome) is critical to correctly evaluating the stress tolerance of these organisms. My analysis is epigenetics and physiology focused, including DNA methylation, transcriptomics, respiration, calcification, and photosynthesis rates. Integrating these results with conservation efforts will be my primary focus. Scientists vocalize support for a vast range of solutions regarding policy changes, conservation efforts, and active involvement like evolutionary assistance. I believe that corals don’t have the time to evolve and survive by themselves. My research explores the functional impact of climate change stressors in ways that are applicable to ecosystem based management. For example, further understanding of integrated physiological and epigenetic responses can shed light on the long-term effectiveness of projects like assisted evolution and active coral restoration. Broader impact materializes in several forms – the advancement of scientific concepts and the strengthening of mentorship and project expansion. Our projects allow for a diverse group of PIs, graduate students, undergraduate students, and volunteers from several universities and countries to further personal knowledge and skills as well as the scientific community’s. Personally, I’m passionately invested in a small, but strong marine research institute off the coast of Honduras called Roatan Institute for Marine Sciences. RIMS had an instrumental role in building my research experiences and career goals. RIMS has 30+ visiting university student groups and an active internship program that gives a chance to be a part of research and field work. RIMS has access to pristine reefs and on-going coral restoration efforts as well as opportunities to educate the diving-based tourism crowd that makes up a majority of the island. I started working with organismal physiology and genomics in intertidal ecosystems, evaluating mussels and copepods’ responses to increased temperature. I then focused on coral reef ecology and reef health indices at Roatan Institute for Marine Sciences, then moved into molecular ecology at Bermuda Institute of Ocean Sciences. 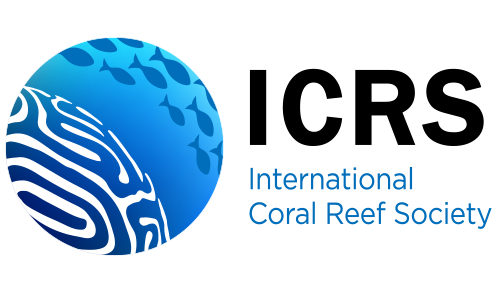 My current program brings together all the pieces of past projects that I was most interested in – eco-physiology and epigenetics of coral reefs. I am now a PhD student at the University of Rhode Island in the Putnam Lab. Giving yourself strict time limits and sticking to them – plan every day to end work at a certain time to allow yourself to have a life outside of it all. The quality of your work increases and becomes more efficient. What is the location of your fieldwork? Hawai’i Institute of Marine Biology; Coconut Island, Oahu, Hawai’i. Our lab has strong connections with Dr. Ruth Gates Coral Lab at HIMB, and current projects focus on two coral species common on the reefs of the Hawaiian Islands. The opportunity to work with a gifted group of researchers at Hawai’i Institute of Marine Biology. My first day as a graduate student was at HIMB surrounded by researchers that I had read about and knew their work (which was very intimidating, like seeing celebrities ha). I’m very fortunate to work with and learn from a large community of incredibly successful scientists. Worst part was not having human contact for four days straight at one point, best part was having my Wilson volleyball and coral fragments to talk to. Have 5 back-up plans. Plan A won’t go perfectly. I believe the strength of a researcher is tested by their ability to improvise and be flexible while still focusing on the main goals of the project and broader impacts. Part of my outreach and education effort includes creating infographics as a creative way to reach a broader audience. Publications, dissertations, project objectives, or general scientific concepts can be displayed in a visually-pleasing and informative way in order to express and spread ideas. See more at emmastrand.weebly.com. Half of the proceeds will go towards the Dr. Ruth Gates Memorial Student Fund. Thanks for joining us at Reefbites Emma! Want to be feature too? Click on our ‘Get Involved’ page and find out how!